[Period] Nov 3 (Fri/Holi), 2017 - Jan 8 (Mon/Holi), 2018. Open throughout the exhibition. The best information is on the gatefold pamphlet of 8 pages. These videos are the records of Hideki Nakazawa's gallery talk. The language is Japanese. 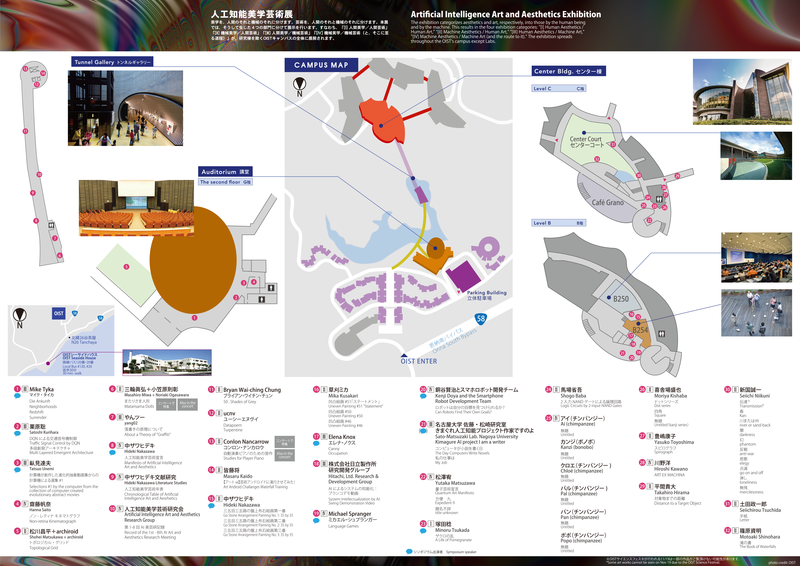 The numbers are based on "Pamphlet 04&05 exhibition map," the categries (I)(II)(III)(IV) on "Pamphlet 02 concept." 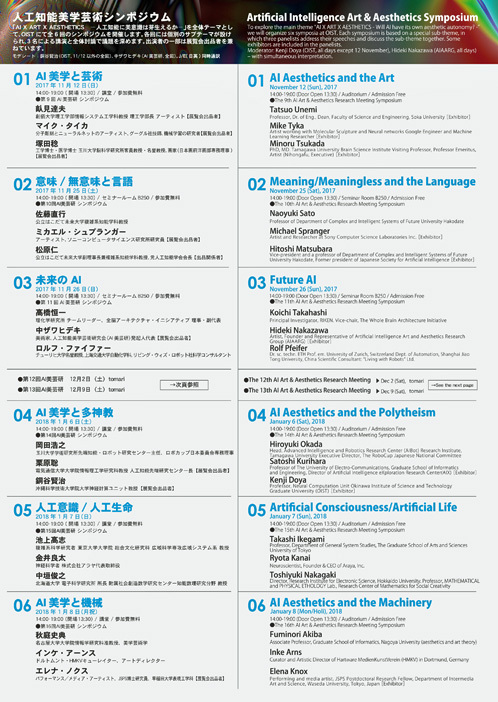 Nakazawa's essay on a topic developed from the exhibition at OIST appeared on a science magazine "Nautilus" published in the U.S. on both paper and website. 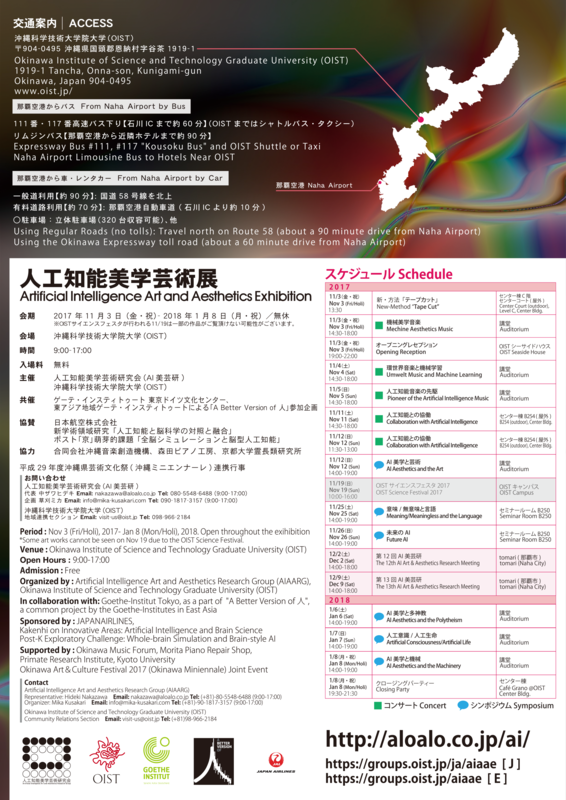 Art Division of "Artificial Intelligence Art and Aesthetics Exhibition"
The slide which Nakazawa showed at the 14th, 15th and the 16th AI Art and Aesthetics Research Meetings. 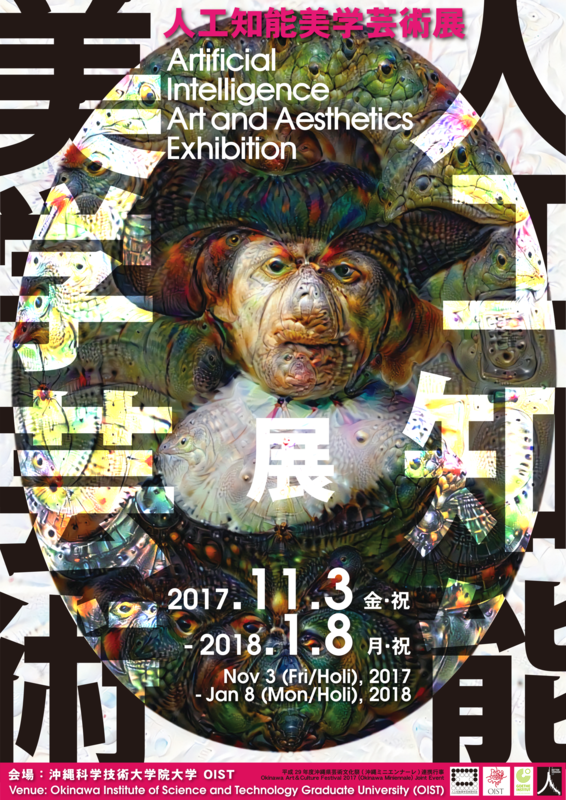 Written in J&E, while containing less exhibition photos than the above. 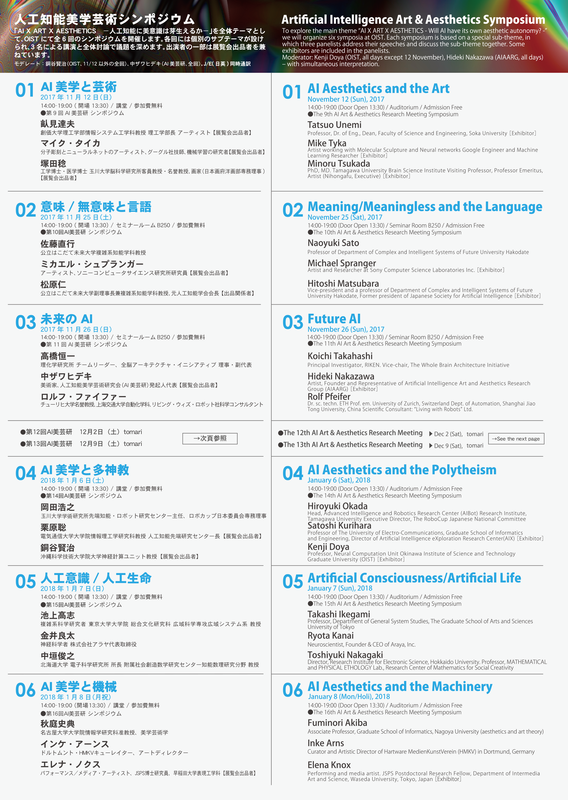 - パンフレットのpdfを追加しました。 Added pdf for the pamphlet. - サイトのSSL化に伴う改変をしました。Modified along with the SSL of the website. - 新たに【6】記録 の項目を追加し整理しました。 Added the item " Archive." - パンフレット小画像を追加しサムネイルを改変。Added small images of the pamphlet and modified the thumbnails. - 「Nautilus」と「ガリレオX」を追加。Added "Nautilus" and "Galileo X." - いままで「リンク集」の下位項目としていた「掲載」を新項目【5】として格上げし、新聞掲載スキャンのpdfを追加等を行いました。 Upgraded "Publication (Appearance)" which had been the subordinate item of "Link Collection" up to now as a new item , added the pdf of the article published in the newspaper etc. - 新たに「基本情報」を追加し先頭に持って来ました。Newly added "Basic Information" as the page top. 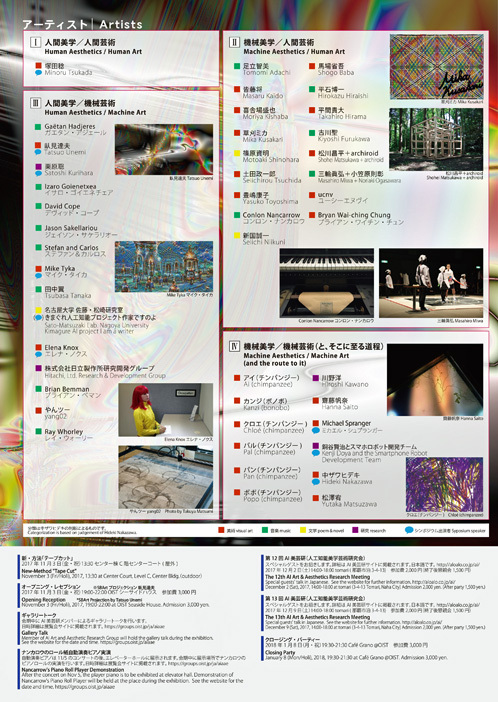 - 新たに「作家リストと作品解説」を追加し末尾に持って来ました。Newly added "List of Artists and the Description of Works" as the page bottom. - 連携の項目を追加。Added the item of Joint Event. 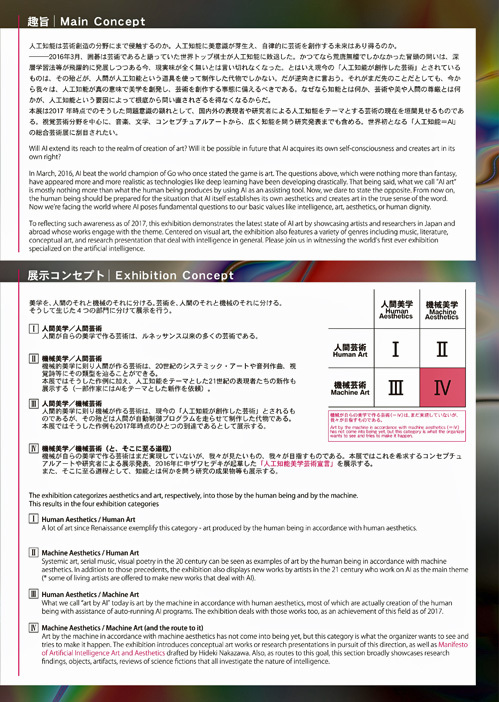 - パンフレット第2刷の誤記訂正。Corrected the errata in the 2nd printing of the pamphlet. 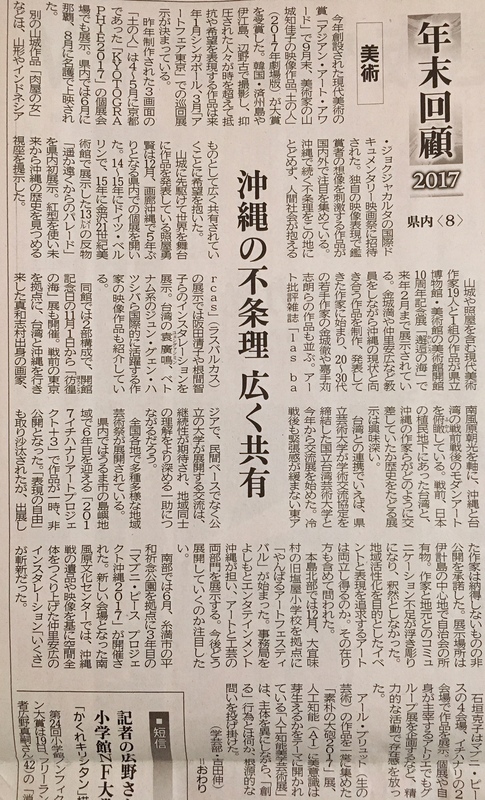 - 第2刷、シンポジウム岡田浩之氏肩書日本語部分に誤記がありました。該当箇所英語には誤記はありません。上記pngは誤記修正済です。Hiroyuki Okada's position in the symposium was wrong in Japanese part of the 2nd printing, which has been fixed in the above png. - パンフレット第2刷の画像データに変更。Updated the images to the 2nd p4rinting of the pamphlet. - パンフレットには第1刷と第2刷があります。上記は第2刷です。第2刷では第1刷の誤記訂正ほか、若干のデザイン変更があります。There are the 1st and the 2nd printings of the pamphlet. 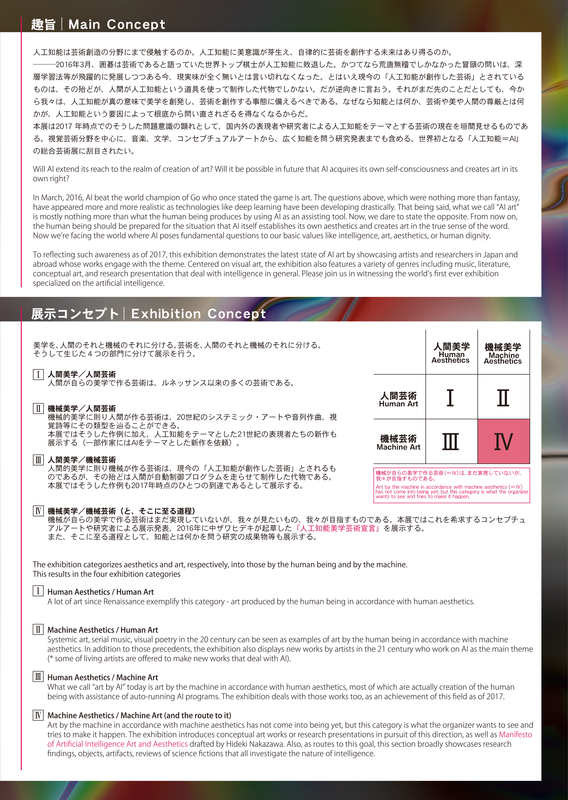 The above is the 2nd, which includes the errata correction and minor design changes.